The Exploring a World of Sustainable Destinations campaign, launched on March 2, is part of the activities celebrating the International Year of Sustainable Tourism for Development. The goal of the campaign is to make travellers aware of the benefits of eco-friendly village tourism, which provides economic support to disadvantaged communities in remote areas. During the first phase of the campaign, six bloggers travelled to Madagascar, Cambodia, Peru and Bolivia. During this second phase of the campaign, Village Monde hopes, with these 10 sustainable explorations, to add 200 new eco-friendly village destinations to its collaborative platform https://villagemonde.com/en/. This reservation platform enables these destinations to connect free of charge to the traveler space on a site that already includes over 120 eco-friendly initiatives in 23 countries. Village Monde wishes to thank Air Canada and the Air Canada Foundation for agreeing to transport the bloggers during the first phase and, during the second phase, the explorers to 10 new countries located in three different continents. The winners will travel for three to six weeks between May 30 and October 31, 2017, to accomplish their exploration mission in one of the following countries: Ecuador, Guatemala, Haiti, India, Laos, Morocco, Mexico, Nepal, Nicaragua, Panama, Senegal, Thailand. 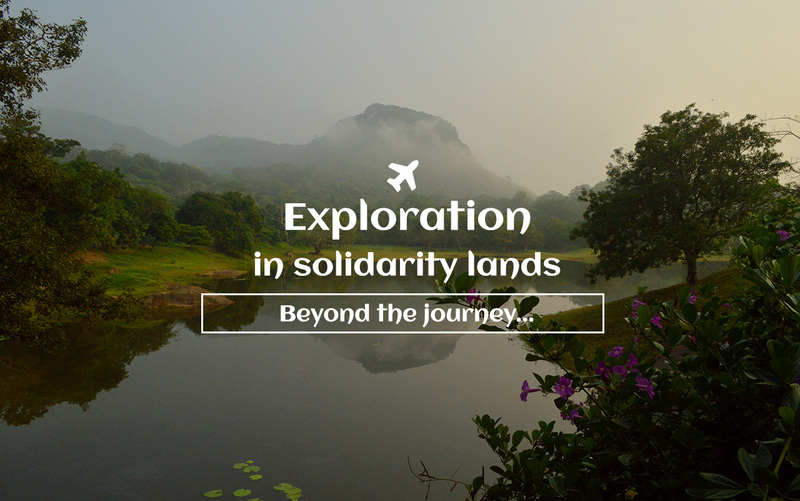 Candidates with prior experience travelling off the beaten path and who are passionate about sustainable tourism may submit their applications online by April 23 at https://villagemonde.com/explorationsolidaire/en/. They will have a choice of 4 grant categories based on their age and place of residence (Quebec, Canada, France): Quebec Young Explorer Grant, Charlesbourg Young Explorer Grant, France Young Explorer Grant and the Canada Experienced Explorer Grant. They will have to prepare a brief video presenting their motivation and skills for embarking on this type of mission. They must also fill out a registration form. Finalists will have their videos posted online for public vote (public vote page) from April 8 to May 7, 2017. A jury will gather on May 12 to select the 10 winners, who will be announced during a media event on May 17 in Montreal. Already, over 500 candidates have expressed an interest in Exploring a World of Sustainable Destinations grants. The Village Monde team has arranged meetings for all candidates to answer their questions during three social media events. On April 6 and 12 at 12:00 p.m. (noon), Montreal time, Francis Lavoie and Catherine Dussault-Desmarais will be on Facebook Live on the @villagemonde page. On April 13 at 1:00 p.m., Montreal time, they will be on @villagemonde’s Twitter page to lead a discussion with the candidates. Don’t hesitate to send them your questions in advance via social media. The blogger challenge, an amazing look at what awaits the winners! To get candidates inspired about sustainable exploration, Village Monde and its partners organized an exciting blogger challenge in three continents from March 25 to April 3. As key eyewitnesses immersed in the villages, the bloggers published their travel impressions on social media and wrote numerous articles that give hints of the type of adventures winners can expect! We invite you to read their articles at www.villagemonde.com/explorationsolidaire/en. Village Monde would like to thank its partners, who made this large-scale international solidarity campaign possible: the Air Canada Foundation, LOJIQ, CECI, the Caisse populaire Desjardins de Charlesbourg, the Charlesbourg Rotary Club (Canada), the ATES and the ATD (France). To apply for the Exploring a World of Sustainable Destinations grants and follow all the developments on this around-the-world awareness tour, visit www.villagemonde.com/explorationsolidaire/en. Village Monde is a Quebec philanthropic organization of social innovation founded by Charles Mony and Isabelle Vitté in 2010. Working internationally and under the guidance of its president and successful entrepreneur Charles Mony, Village Monde supports sources of life and wealth-generating initiatives that help improve living conditions in remote and marginalized communities through their social, economic and environmental benefits. Alongside Danielle Valiquette, a well-known actor in international cooperation, in 2015 Village Monde made a transition to sustainable tourism for development by focusing on the support, promotion and development of village tourism and by launching its collaborative reservation platform: www.villagemonde.com/en. The Air Canada Foundation, a not-for-profit organization focused on the health and well-being of children and youth, was launched in 2012. It offers financial and in-kind support, through travel assistance, to Canadian registered charities. Its core program is the Air Canada Foundation Hospital Transportation Program, which donates Aeroplan Miles to pediatric hospitals across Canada, enabling children to access medical care unavailable locally. For more information about the Air Canada Foundation, please visit www.aircanada.com/foundation or view the 2015 Corporate Sustainability Report: Citizens of the World online at https://www.aircanada.com/content/dam/aircanada/portal/documents/PDF/agents/en/documents/csr_2015_report_en.pdf. The Caisse populaire Desjardins de Charlesbourg actively participates in the social and economic development of communities in order to help create sustainable prosperity. As part of the International Year of Sustainable Tourism for Development, we are happy to join Village Monde and contribute to the economic and social well-being of people and communities by promoting village tourism. The Rotary Club of Québec-Charlesbourg provides humanitarian service and encourages the observation of high ethical standards in all vocations. As part of the International Year of Sustainable Tourism for Development, we are happy to join Village Monde and help foster goodwill and peace throughout the world while contributing to local development. The mission of the réseau des Acteurs du Tourisme Durable – ATD is to unite and represent professionals working to promote sustainable development in tourism. Currently comprising nearly 100 members (tour operators, destination management companies, territories…), ATD collects and promotes best practices in the sector, which can be found at www.tourisme-durable.org.